WASHINGTON, D.C. – May 23, 2016 – (RealEstateRama) — The median age and years of experience of Realtors® has decreased as new and younger professionals enter the industry, according to the 2016 National Association of Realtors® Member Profile. The survey’s results are representative of the nation’s nearly 1.2 million Realtors®; members of NAR account for about half of all active real estate licensees in the U.S. Realtors® go beyond state licensing requirements by subscribing to NAR’s Code of Ethics and standards of practice and committing to continuing education. The typical member reported a median of 10 years of experience in real estate, down from 12 years in last year’s report. Realtors®’ median age also decreased from 57 in 2014 to 53 in 2015, the lowest it has been since 2008 when the median age was 52. In last year’s report, 41 percent of members were more than 60 years old, while only 2 percent were under age 30. This year, the percent of Realtors® over 60 years old dropped to 30 percent, and the number of those younger than 30 years rose to 5 percent. Thirteen percent of members who have two years or less experience are under 30 years of age. New members also tend to be more diverse than experienced members; eighty-nine percent of Realtors® with 16 or more years of experience are white, compared to only 78 percent of those with two years or less experience. The median gross income of Realtors® also fell last year, from $45,800 in 2014 to $39,200 in 2015; not surprising, given members’ income typically corresponds with experience. Those with 16 years or more of experience reported a median gross income of $73,400, up from $68,800 in 2014, while members with two years or less of experience had a median gross income of $8,500, a decrease from $9,100 last year. For the third year in a row, Realtors® cited difficulty finding the right property, at 38 percent, as the most persistent challenge limiting potential buyers, beating out obtaining mortgage financing at 19 percent. However, while the number of transactions has remained the same, rising home prices in 2015 triggered the median brokerages sales volume to rise to $1.8 million from last year’s $1.7 million. The typical Realtor® reported working 40 hours per week in 2015, in line with previous years. Sixty-seven percent of members specialize in residential brokerage, down from 82 percent. The most popular secondary specialization is relocation, 17 percent, and residential property management, 16 percent. Twenty-six percent of all Realtors® made more than $100,000 last year, while 26 percent made less than $10,000. This year marks the first time members were asked about the use of drones in their business. While a majority of Realtors®, 56 percent, do not currently use drones, 18 percent indicated that they plan to in the future. Twelve percent reported that someone in their office uses drones, and 11 percent say that they hire a professional for their drone use. When it comes to technology 93 percent said that their firm has a web presence. When communicating with clients, members say that email, telephone, and text messaging are used most frequently. Seventy percent of members reported using social media, an increase from 65 percent last year. Other technology that members report regularly using includes electronic contact and forms software, contact management software, and e-document preparation programs. Thirty-eight percent of Realtors® reported receiving errors and omissions insurance for their firm making it the most commonly received benefit. Seventy percent of members were compensated under a percentage split-commission. Fifteen percent were compensated by a 100 percent commission, though that is more likely to apply to brokers, 21 percent, than agents, 11 percent. Many Realtors® have had careers in other fields before entering real estate. The most common first careers reported are in management, business or finance, or sales and retail, both at 16 percent. Only four percent of members indicate that real estate was their first career. The marital status of Realtors® remained mostly consistent with last year’s survey; seventy percent of members are married, 15 percent are divorced, and 10 percent are single or never married. 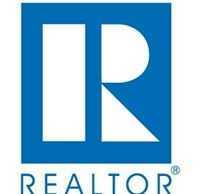 Also in line with last year’s survey, 62 percent of all Realtors® are female. Among broker licensees, 56 percent are female, compared with sales agent licensees, where 66 percent are female. More than eight out of 10 Realtors® own their primary residence. However, that number increases with age; the homeownership rate for Realtors® 60 or older is more than 90 percent. Thirty-one percent of Realtors® reported that they own residential property for investment, and 9 percent report owning at least one commercial property. Ninety-three percent of Realtors® have some post-secondary education, with 30 percent having completed a bachelor’s degree and 12 percent having completed a graduate degree. Realtors® are also active in the political process with 94 percent reporting they are registered to vote, 89 percent voted in the last national election, and 77 percent reported that they voted in their local elections. The 2016 National Association of Realtors® Member Profile is based on a survey of 150,024 members, which generated 10,194 usable responses, representing an adjusted response rate of 6.8 percent. Survey responses were weighted to be representative of state-level NAR membership. Income and transaction data are for 2015 while other data represent member characteristics in early 2016. The study can be ordered by calling 800-874-6500, or online atwww.realtor.org/prodser.nsf/Research. The profile is free for credentialed media and costs $14.95 for NAR members and $149.95 for nonmembers.